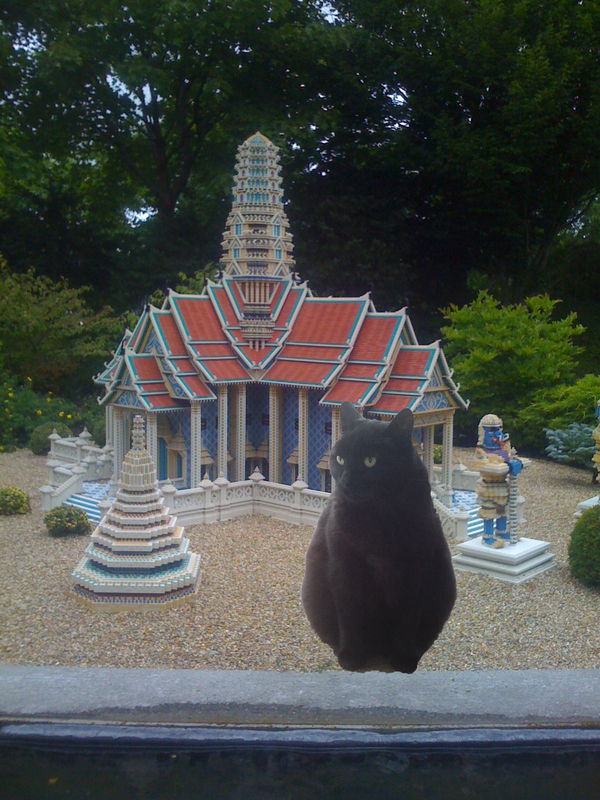 Trix’ Travels was created with full cooperation of Trix the cat. She has been perfectly safe and lazy during the entire process that will now be posted every other Saturday. This week: the making off of this incredible journey. “Could you look after Trix while we are on holiday?” That is how it started. Trix came to live with me for two weeks while my father and his girlfriend were on holiday, as all of her children were gone as well and I would be working all summer. I did not mind, it would be fun to have a furry creature in my house. The next weekend, Trix was brought over and goodbye’s were said to the cat. “Could you send a picture every now and then, to show she’s still alive?” “No, because Trix and I are running away together and we don’t want you to know where we will be,” I said jokingly but in my head it quickly evolved. I might nog be the best photoshopper there is, but I’m good enough to create funny pictures. It started with Trix in the London Eye (Trix is doing fine, not very impressed by the Big Ben though), and on a surfboard (Trix wanted to go to the beach as well) but after that I realized: why not make this into a regular column for this site? Trix’ Travels was created with full cooperation of Trix the cat. She has been perfectly safe and lazy during the entire process that will now be posted every other Saturday. This weeks stop: Home. We’re home… I almost can’t believe it. We are home. We made it… We have been around the world, and now we are back in Amsterdam. 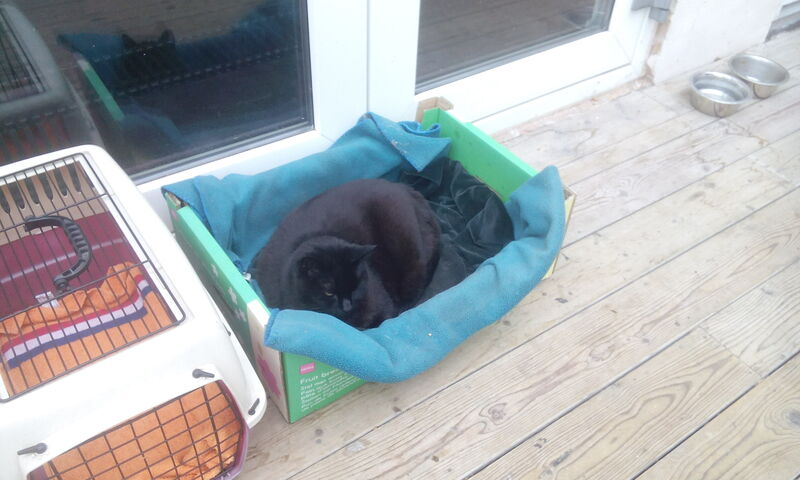 I’m really glad to be home, really glad to sleep in my lovely box again that I don’t have to share with anyone. The mice got too cheeky for their own good during my absence, but I’ll teach them some manners soon. After a long, well deserved nap of course. Denmark wasn’t a very long flight but it was just a bit too much after this year. I wanted to go home so badly, I missed my owner, and my normal bowl of food. We’ve tasted some amazing dishes in the last couple of months, but this bowl of dry food is my favourite right now just because that is what I get at home. I might have taken this place for granted over the last 10 years of my life. I’m an old lady, I’ve noticed that while traveling. Sometimes it was no problem, but sometimes it limited me in what I could do and the crazy blond human had to carry me around. I did not really mind that, I’m a cat which means laziness is in my DNA. But from time to time it was a bit of a confrontation with time passing and my time coming sooner or later. I am glad that I got to take this journey before that happened, I am glad to see the world at least once. The experience was amazing, I got to talk to amazing animals and observe some weird humans, I saw specks of dust around the world which I really liked. I think I have to thank the crazy blond one for this wonderful time. I won’t be traveling anytime soon I guess, so for now I’ll just take a nice and long nap. Trix is home again, still perfectly safe and grumpy. Trix’ Travels was created with full cooperation of Trix the cat. She has been perfectly safe and lazy during the entire process that will now be posted every other Saturday. This weeks stop: Denmark. Okay, I knew humans were crazy, but they have proven one more exactly how crazy… An entire park completely filled with lego’s? Pre-assembled lego’s that is? What is the fun of that you crazy beings on two legs? Explain it to me! And those barbarians don’t even have cats build from lego’s. At least the Egyptians knew how to build some proper statues and structures, shaped after wonderful cast. These Danish don’t seem to have any notion of the greatness that are cats. Building weird tiny houses instead, too small to even sleep in. I don’t get it at all. I want to go home now, please blond human? Trix does not really understand the fun of Legoland.